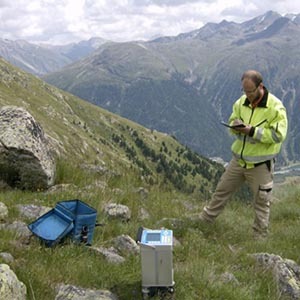 Applied geophysics is a field of Earth Sciences that uses quantitative methods derived from physics to identify buried geological or anthropological structures. The primary contribution of geophysics is its capacity to provide information on the distribution of given parameters in the ground (seismic velocity, electrical resistivity, etc). Geophysical methods allow us to create precise geological models at an optimized cost through regionalization of borehole data. Geological interpretation of a site is constrained through the use of multiple and joint geophysical techniques. The selected technique depends on the matter and structure to investigate. This multi-method approach grants the optimization of borehole locations, therefore reducing costs.